Would you dare knock on this door this Halloween and say Trick or Treat? Here is an amazing pattern you can create using the House Peg Board. 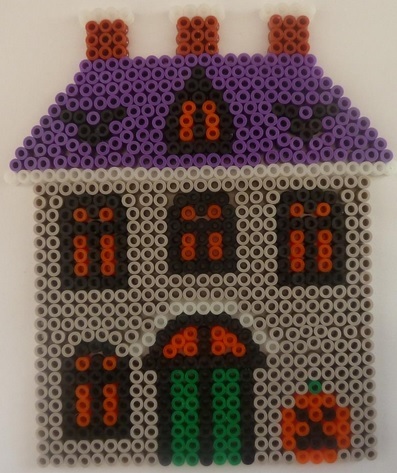 What you require to make the Halloween House out of Hama Beads. Colours required – Here is a list of the colours you will require to make this Halloween House and the part number of the individual coloured packs. Make something special to work with the Hot Air Balloon! 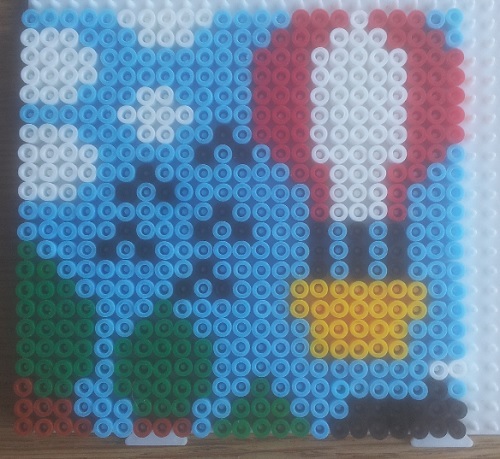 I started off by creating the basic “Hot Air Balloon” which is on one of the Hama bead boxsets and then decided to make a beautiful back ground for it – let me know what you think. I used white beads to create the clouds, the black beads are birds and at the bottom I have created the tops of trees and a house. What you require to make this Hot air balloon above the trees design. Colours required – Here is a list of the colours you will require to make this Hot air balloon Pattern and the part number of the individual coloured (1,000) packs. Escape to the countryside with a look at this beautiful Cottage! 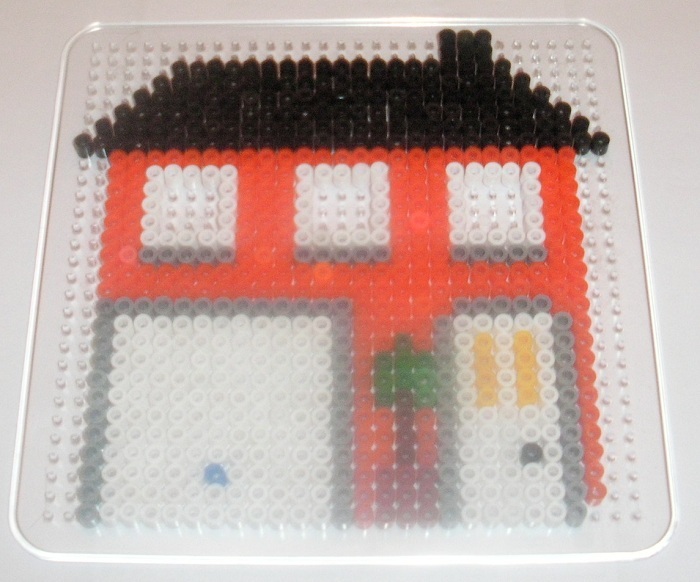 This doesn’t take as long to create as our Hama Bead Homes as it’s a lot smaller in size – so should be a good option if your in a rush. Have even more fun by changing the colours we used or perhaps add smoke from the chimney… It’s your design, do what you like. What you require to make a Cottage. 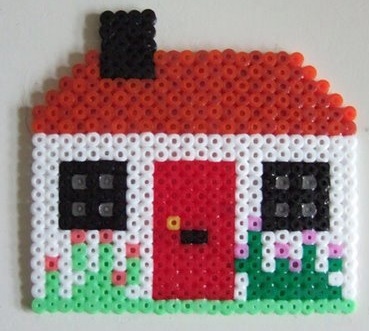 Colours required – Here is a list of the colours you will require to make this Hama Bead Cottage Pattern and the part number of the individual coloured (1,000) packs. This time we have removed the additional downstairs windows, moved the door to the right of the building and built a garage – isn’t that what every house needs! As we have said before, be creative, try different colours, add a plant or tree and make your dream house! What you require to make a House. Colours required – Here is a list of the colours you will require to make this Hama Home Pattern and the part number of the individual coloured (1,000) packs. I always remember as a child that drawing houses was special. You can make them look and feel however you like so making them out of Hama gives me the same feeling. Be creative, try different windows, add a garage… make your dream house!